The UN brokered cease fire deal four months ago that halted the battles in Tripoli is breaking down, as clashes erupt in Tripoli, according to reports leaving dozens dead and wounded. The military build up is a worrying sign of the deterioration of the Libyan peace process, the elections again postponed. “The Libyans have two options, either a political process or a new military war …” This was predicted by the Special Envoy of the Secretary-General of the United Nations, Ghassan Salame, in Libya in one of his statements. The Libyan capital of Tripoli is now witnessing a new tragedy that terrorizes the innocent and claimed the lives of the innocent, a repetition of a scene that the UN mission said it had supervised to stop. This comes only days after the Special Representative announced the postponement of the elections. It seems that the Libyans now have come to his second option and a new war broke out in Tripoli and deprived the Libyan people of exercising their natural right to hold elections and choose a leadership capable of uniting institutions, ending chaos and building the state and lifting the suffering of the Libyans.” End of Statement. The UN Special Envoy to Libya, Ghassan Salame in Sebha, Libya this week. The continuous meddling into Libyan internal affairs, effectively prohibiting Libyan independence have, for long, been cited as the main reason for the continuing crisis. The Presidential Council, parliaments and Higher Council of State reportedly lack independence and seem not to be working for the betterment of the Libyan people. The role of a politician is, after all, first and foremost to work for the interests of the people, not outside forces. Resolution in Libya without the choice of the Libyan people? After years of military conflict in Libya, some hope of resolution followed the announcement of free elections in Libya, in which all candidates were to run. 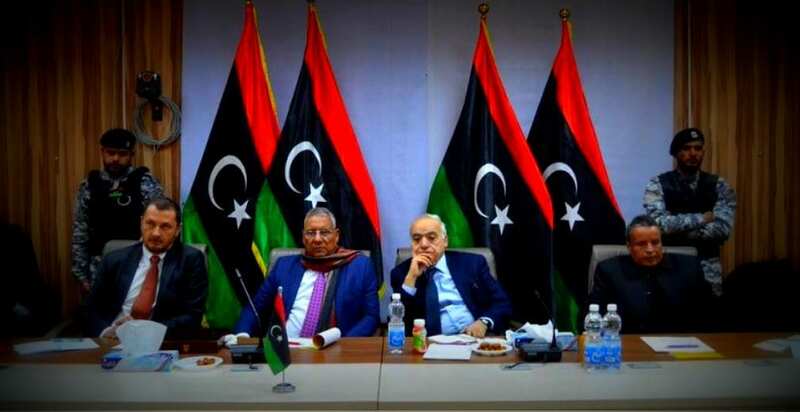 The Palermo Conference in November, 2018 illustrated the problem of Libyan independence, as only Western backed Libyan leaders, such as Fayez al-Sarraj and US citizen, Field Marshal Khalifa Haftar met. Other candidates, favored by many Libyans, such as the son of the late Muammar Gaddafi, Dr. Saif al-Islam Gaddafi, was not part of the discussion. The reactions in Libya were protests as many wondered why the fate of Libya should be decided in international conferences and not on Libyan soil. 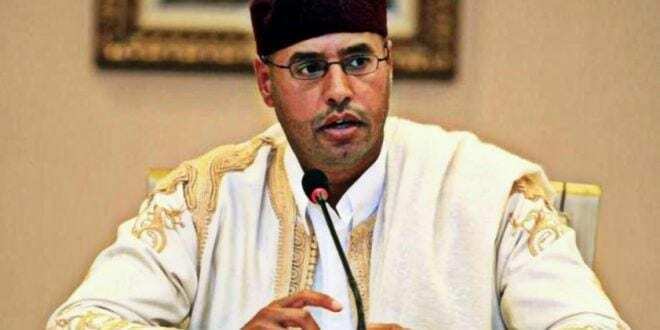 The Libyan Popular Front describes Saif al-Islam under the slogan of “Mandela Libya” as the strong candidate to unite all Libyans, provide amnesty and tolerance as well as implementing fundamental human rights in Libya for all. There is also the demand to revive and complete the National Reconciliation projects from 2012/2013 of Libya tomorrow, with new constitutions and proper state institutions. Whether the plans will have a chance to fly, remains to be seen. The point remains that the voice of the Libyan Tribes should not be silenced as they represent the Libyan people, if the election is to be called democratic. 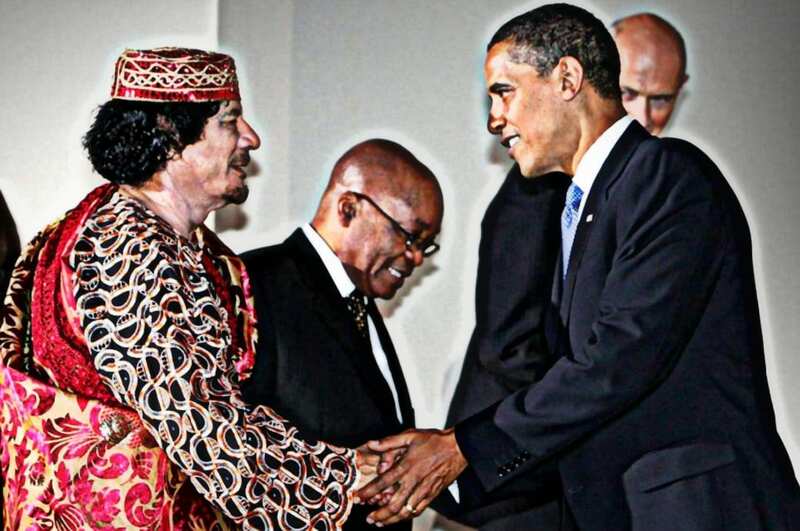 The foreign meddling was a major problem in Libya in 2011 and still is. From the Russian standpoint, it was stated in Palermo as well as later that Dr. Saif al-Islam Gaddafi should be a part of the election, considering the support he has in the Libyan people and especially those in the South-East where most of the population lives. African nations and others also state the need for Libyan independence in choosing their own candidates for the presidential election, as the Libyan multicultural, tribal society is dependent on the will of the Libyan Tribes in order to forge a lasting peace. A recent poll showed 91 % support for Gaddafi among the Egypt based refugees. Of the 71 000 Libyans who voted, 91 % voted Yes, 8.3 % voted No to the question “Do you support Dr. Saif al-Islam Gaddafi as the head of state capable of completing the reconstruction of Libya?” The referendum was held by Media Plus for ten days in December, 2018. Another statement cited two-thirds of the Libyan people being for the return of a Gaddafi, while the last one third reminisce about the time before 2011. The numbers need yet to be confirmed, yet illustrate the lack of communication with certain groups within the Libyan segment, which may be one of the reasons for the prolonging of the conflict. There are some voices we simply do not hear speak in the Western media. Why are they silenced?